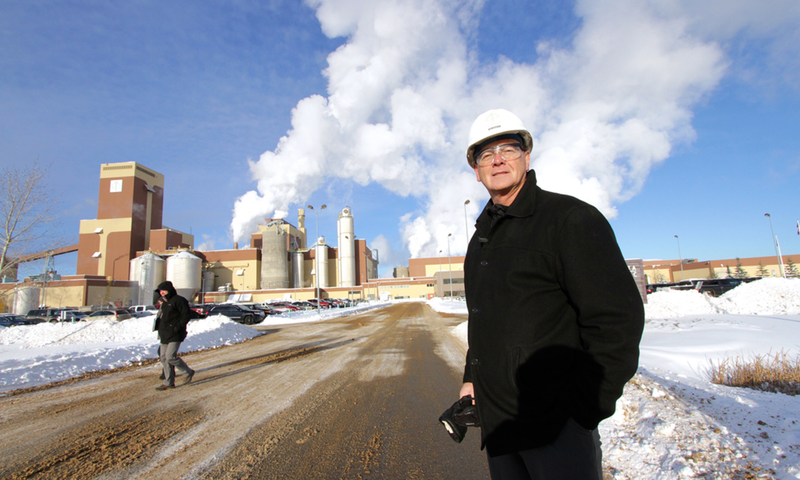 The Alberta Pacific Forest Industries (ALPAC) pulp mill near Boyle in northern Alberta is North America’s largest single-line craft pulp mill. FSC certified for progressive forest management, ALPAC has what may be the biggest wood yard in the world. Each year it takes in 3.38 million cubic metres of aspen, balsam poplar, birch spruce and pine.